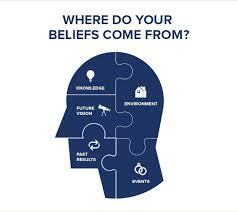 To Be-Live or Not To Be-Live – Or Where Do Beliefs Come From? This is your opportunity to watch one of our live support webinars for free! We run a continuing series of monthly webinars for our students as they progress through their Practitioner Coach Diploma Course and also for our graduates to help them with their continuing professional development. They form part of our extensive, free, life-long support package which comes complementary with many Noble Manhattan courses. 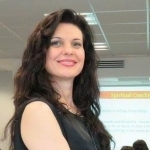 Katrin Prentice, Accredited Master Coach AMC (IIC&M), Managing Director of Palitri International Ltd t/a Noble Manhattan Bulgaria, Greece and the Balkan RegionТМ . I am the first Bulgarian ‘Master Coach’, accredited by the International Institute of Coaching and Mentoring (IIC&M), with over 11 years 2000 hours of experience working with individual clients and is in the process of finalizing my accreditation as a Master Coach with the International Institute of Coaching and Mentoring (IIC&M). 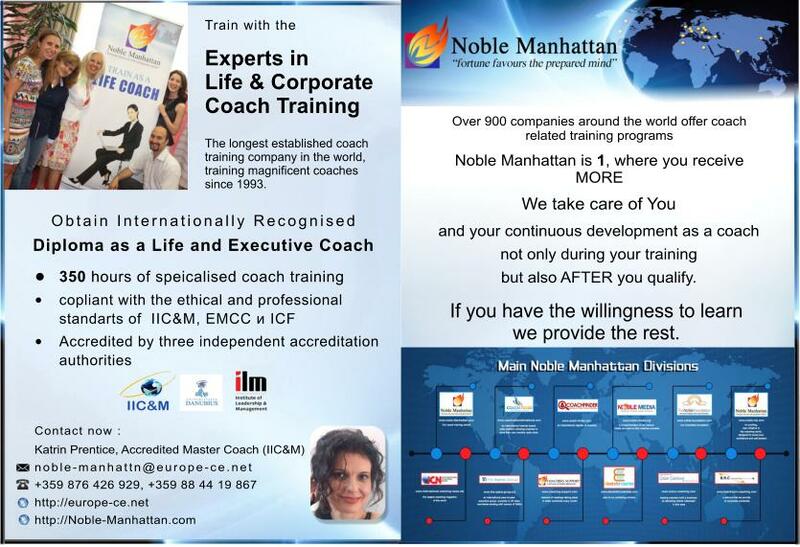 I am an experienced Executive Coach. I primarily specialize in; life dynamics and help clients with cases related to work / life balance, career choices, relationships with others, time management, achieving success in the workplace, well-being of spirit, mind and body, making important decisions, etc. I have over 8 years of experience as a coach of teams in non-governmental organizations in 9 countries of Eastern Europe. I have lived seven years in Hungary and 12 years in Romania. My personal and professional life leads through working in 23 different countries, giving me an extensive experience working in an international and multi-national environment. I have participated in organizing and conducting training sessions in several countries, including Romania, Croatia, Albania, Hungary, Germany, Ukraine and others, on topics such as personal counseling, human development, PR, internal organizational coaching and management teams projects profit.